The US Navy has confirmed that a mysterious plane spotted circling over Denver for at least an hour on Wednesday was one of its fleet – but says details of its mission are classified. The presence of the military plane in the Denver skies caught the attention of many planespotters curious to find out why the large aircraft was hanging over the city in a holding pattern. Why is such a large #MILITARY plane flying over the US & no one seems to know who or what it was doing?? Local news outlet Denver7 tracked flight IRON99 as it traveled from the west coast to Oklahoma. The plane eventually landed at Tinker Air Force Base in Oklahoma city after an hour loitering above Denver. The news station’s initial attempts to find where the plane originated proved fruitless as officials from the Federal Aviation Administration (FAA), U.S. Northern Command (NORTHCOM), U.S. Strategic Command (STRATCOM), North American Aerospace Defense Command (NORAD) and a dozen Air Force Bases could not confirm the flight. 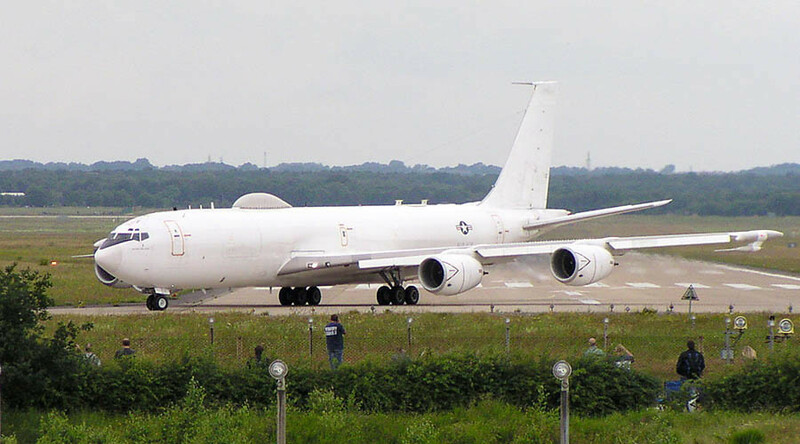 The next day, however, the Navy confirmed that the mysterious aircraft was in fact one of its E-6B Mercury planes, known as the ‘Doomsday plane’, and was simply returning to its homebase. These planes, created by Boeing at a cost of $141.7 million per unit, have the capability to launch nuclear missiles and communicate with nuclear submarines. The US Navy has a total of 16 of these powerful military aircraft in its fleet. No further details of this particular mission were disclosed, however Denver7 reported that a high-ranking federal official, who wasn't authorized to speak publicly on the matter, said the plane was involved in a classified training mission organized by the Department of Defense. The officer claimed this was a multi-agency operation regarding electronic surveillance and that these training missions were not unusual, nor were they typically made known to the public. A video of the incident shows the white four-engine plane glide across the Denver sky leaving lengthy contrails in its wake.